Photo Gallery #48: Click edit pencil to get the selected gallery name. 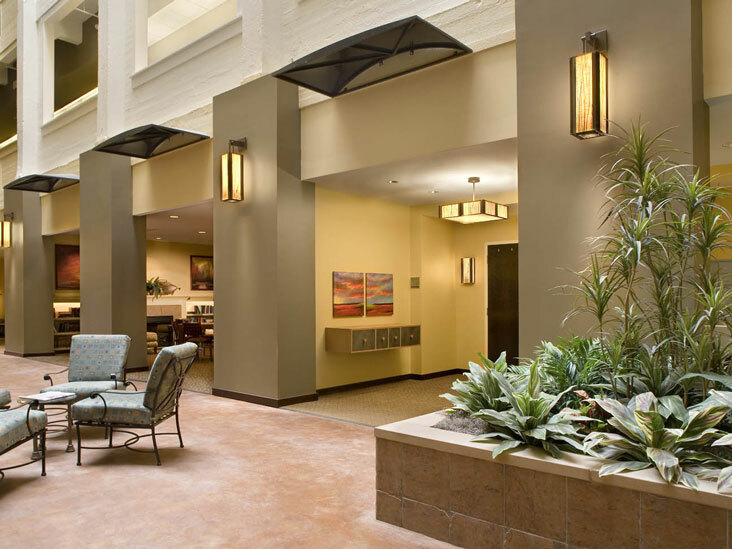 Fixtures: Pendants, sconces, and hybrid wall mounted pendants from the “Images” family create a warm welcome in this lobby area. The beach grass diffusers shown are one of 12 standard diffuser options available in these or other ambia collection fixtures.